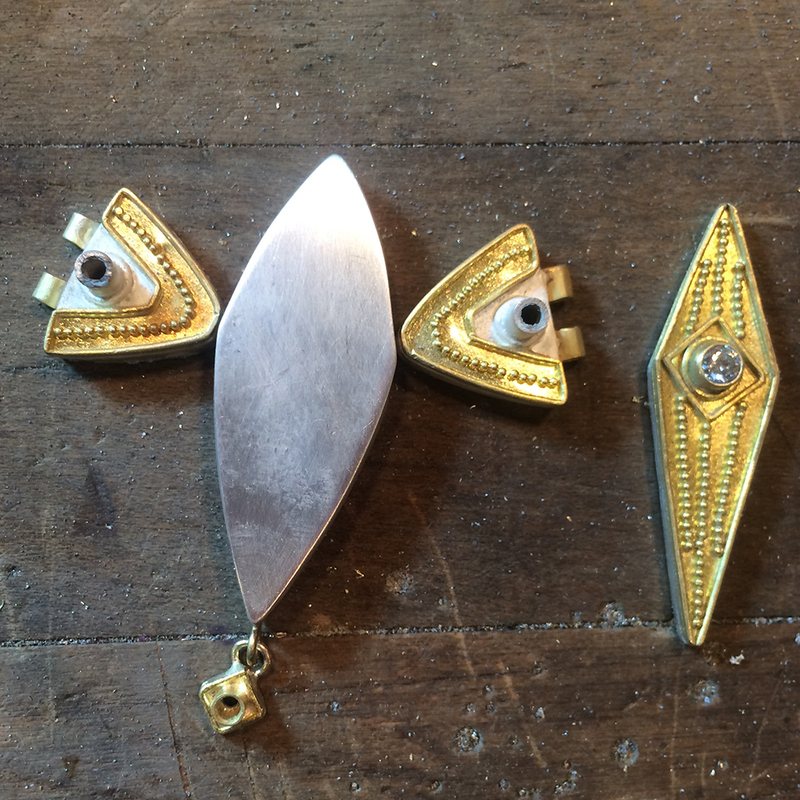 Here are three images of the assembly process of the “Guardian” necklace. 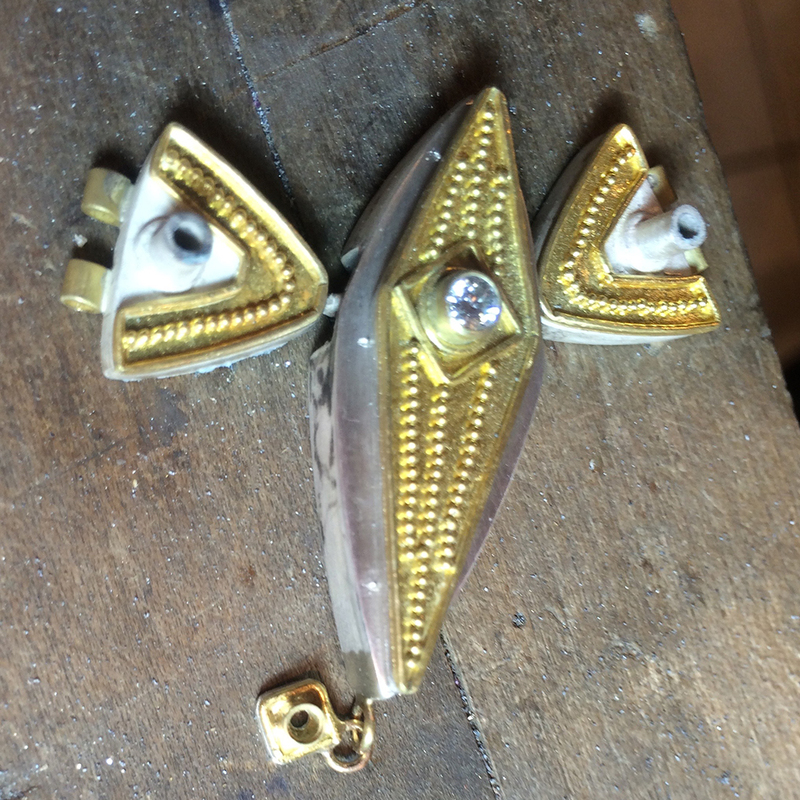 The necklace has many components that all must move with each other so that the piece lays nicely on the neck. The first photo shows the mechanics of connecting the centerpiece to the two side pieces. Jump rings are soldered to the side pieces. Curved pins are inserted through holes in the side wall of the centerpiece, as well as through the jump rings, and soldered into place while it is still open from the top. The second photo shows the hollow centerpiece with the top soldered into place. You can see that the jump ring connectors are now hidden. The third photo shows the addition of the decorative granulated piece soldered into place. 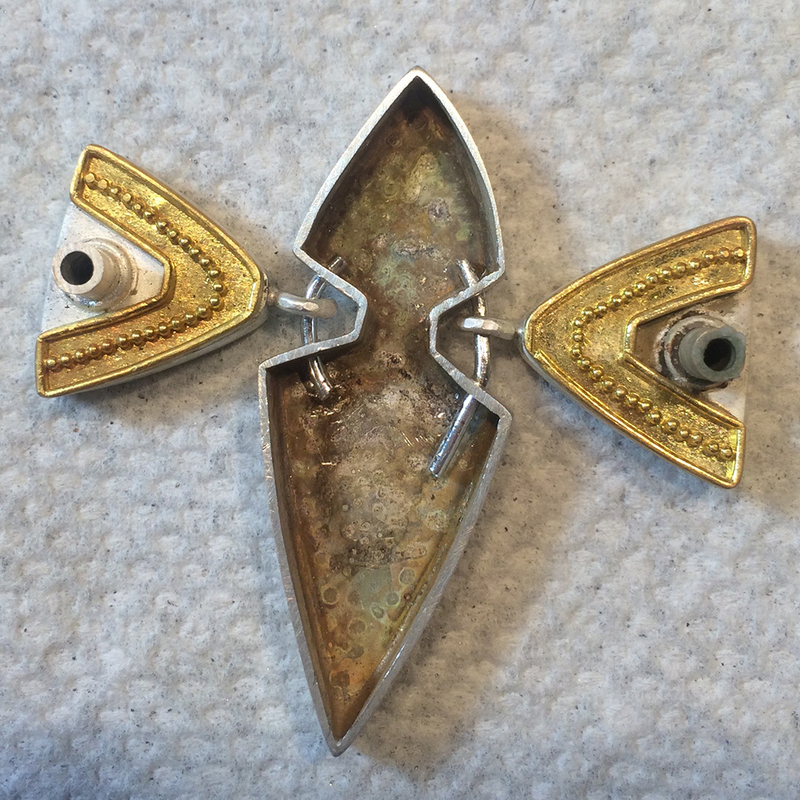 I had already set the diamond in the decorative piece before soldering because setting the stone afterward–and pushing on it–might have crushed the hollow form of the centerpiece. Posted in Metalsmithing and tagged #22kgold, #granulation, #riojeweler, hinge, stone setting. Bookmark the permalink.